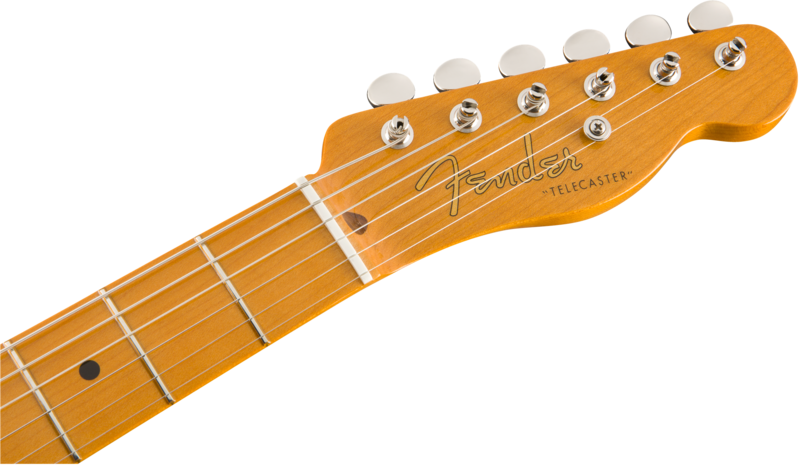 Fender revolutionized popular music and guitar playing in the early 1950s with the introduction of the Telecaster® guitar. 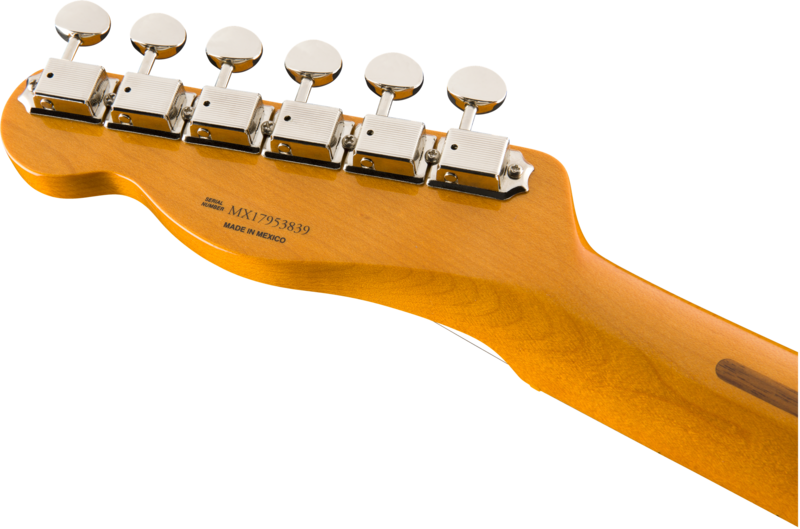 Designed simply, smartly and elegantly, it quickly became a trusted and revered go-to instrument for guitarists everywhere, and it created a new sound for the 1950s and decades to come at the very heart of popular music. 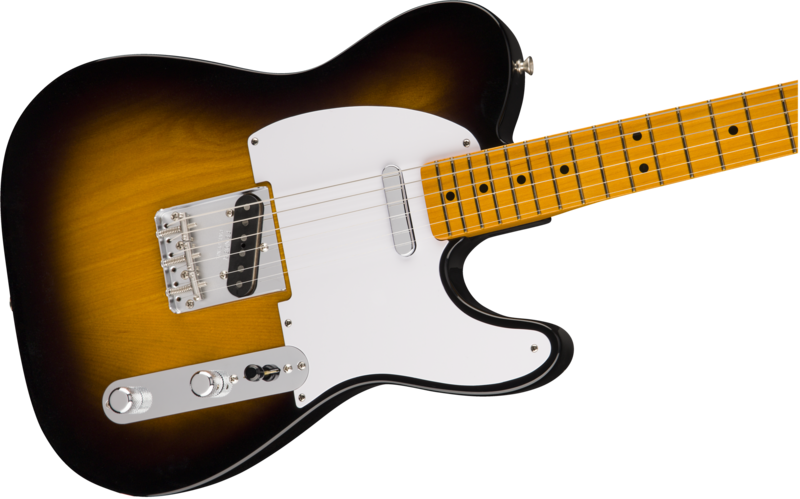 The Classic Series '50s Telecaster Lacquer evokes the instrument in the decade of its origin, with an authentic nitrocellulose lacquer finish on its ash body. Other features include a "C"-shaped maple neck, 7.25"-radius maple fingerboard with 21 vintage-style frets and black-dot inlays, dual vintage-style single-coil alnico pickups with three-way switching, single-ply white pickguard, knurled chrome control knobs, vintage-style string-through-body bridge with three chrome “barrel” saddles, and vintage-style tuners. Tweed case included.